Just yesterday, we were thinking about our favorite brands and how we would most likely have to wait till fashion week to see the new ideas, in form of clothes, that would walk the runway. Mentally, we had braced ourselves up for the long wait, but surprisingly we got served romantic ruffles, paired with truly African textiles from the label, Maki Oh. Mermaids, in actual reference to Mami Wata, serve as her guiding concept. The origin of the story links to appropriation on the basis that just like the Mami Wata who emerged after the image of an Indian snake charmer made its way to Africa but is generally thought to have originated from the continent, the popularized “African Print” which in fact, isn’t authentically African has been appropriated by Africans. Perhaps, this collection is a follow up of her previous, titled “Virgin“, as the Mami Wata is also described as a keeper of virgins and goddess of the river. We sense she’s trying to tell a story, and collection is a sequel. As an advocate for all things truly African, Maki Oh uses true African textiles like Adire, Aso-oke, Akwa Ocha, Oja and more to continue to illustrate to the world (and Africans) that we have desirable, couture quality local textiles. Ankara fabric (Dutch Wax) does not have it’s origins in Africa. It is imported from Holland, India, Turkey, China and even England. But the world, and even some Africans think this fabric is African. Uche: This dress is perfection. I think the collection is visually interesting, and generally wearable, with the exception of a few unnecessary pieces. From a design point of view, it’s good. I like the location of the shoot. The simplicity of the “set” works well in favour of the clothes. When I look at the clothes of African designers, I’m guilty of thinking, “that isn’t wearable in Lagos“, but these designers are global designers, on par with designers from any part of the world. So isn’t it fair to let them design clothes that cater as much for their African customers as well as those in other regions? For example, the black dress. I love everything about the dress, but the sleeves. I’m sorry, but the dress just looks hot to me. I typically avoid sleeves like a plague when I’m in Lagos, but this would be a winning dress in New York, for instance. And that validates the jacket with what seems to be fur? I’d be so all over that if I lived in London or somewhere cold. I’d live in that jacket. Kachi: Well, it’s Maki Oh. She always has in mind to make clothes that give off a good dose of charm, allowing us go about our business feeling confident that we look absolutely fly. And I particularly like the ruffles, especially that on the short skirt. Uche: And did you notice the grown up version of the skort incorporated into the collection? It’s a trouser-skirt, and done brilliantly too. The length is just right, so it’s not overwhelming or unflattering. It’s a really difficult thing to pull off, but Maki Oh sails through with perfect scores. Kachi: I saw that, and loved the way it was delivered even though I couldn’t particularly give it a name. Generally, I love that her collections always seem themed. Last year, bows were the thing, this year it’s ruffles coupled with that fur-like thing Nigerian traditional dancers wear around their arms and legs. Uche: On closer inspection, there are a lot of clever elements to the collection. Kachi: Like the footwear, and how she incorporated that traditional element into it. Then the unexpected pleats, and the slit that goes almost all the way up. As always, this was obviously well thought out. 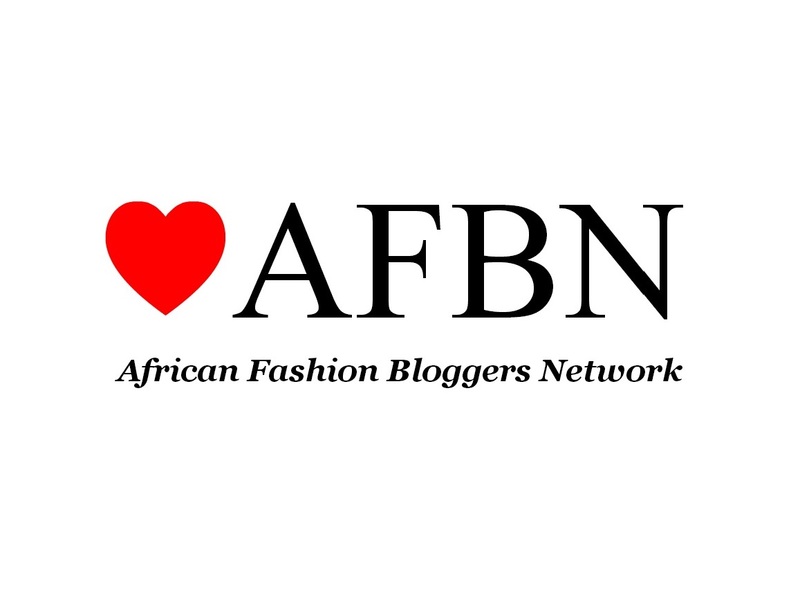 Tunde: Ahn Nigerian fashion just keeps getting deeper and deeper. Uche: Fashion is the depth yo! Kachi: We prefer depth to what we usually we get served sha. What’s your general perception of this collection? Do you think the story reflects on the pieces? We’d like to hear your thoughts. I’m a fan of Maki Oh mostly because of the fabrics she uses. I much preferred her last collection but as you have pointed out, it’s about a global market. There is something in it for everyone and she is a master or should I say a mistress at seperates! I could imagine lots of things those blouses would looke good styled in! True, a lot of people preferred her previous collection and many seem to be sitting on the fence regarding this one. But creativity requires one to explore and be open to new things, and it’s great that she did/does that. A number of pieces have been placed on my lust list already lol. and thank you! I love everything Maki Oh does. Her collection are quality and original. She has her own signature style unlike others that just go with western trends and restyle them. My problem is…. where do I buy her clothes? What would be the point of making collection and presenting them to the international public if they are not readily available outside Nigeria. P.s. I am an Ivorian living in London/Paris.